I have been gradually crocheting each of my children their own blanket. Possibly you may think I am a little late at this, since they are ages 21 – 33 YEARS old, but I didn’t learn to crochet until I was about 47 years old! Besides, they appreciate my efforts much more as adults and these blankets will *fit* them for years. My latest accomplishment was another kit from Herrschners. 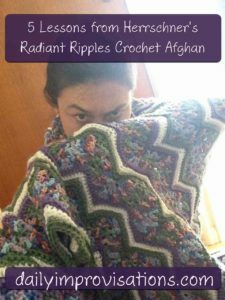 I have only used one other kit from them, and though I have been very satisfied with both their service and their products, I did learn what an afghan really is with the first kit. Thus, I was ready for that with this kit and happy when there was plenty of yarn to extend the length to be more blanket like. 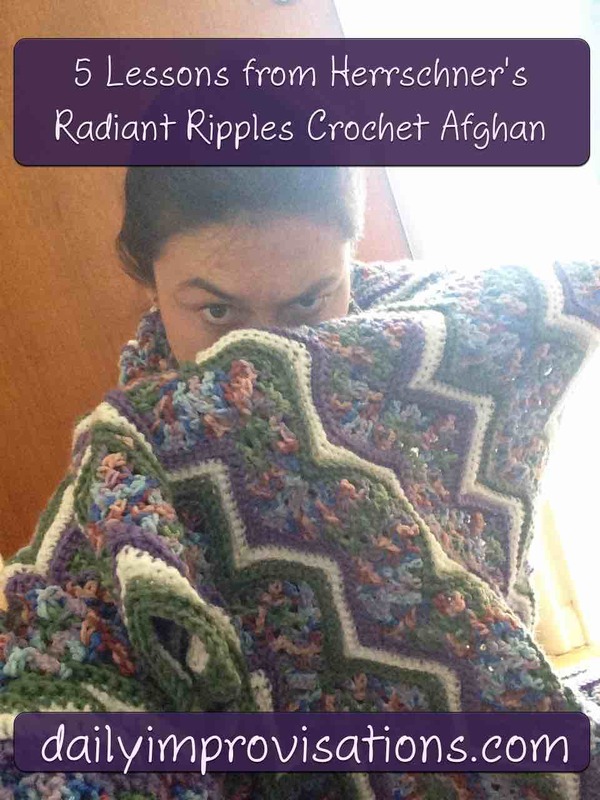 Crocheting this blanket reconfirmed a few important lessons. Don’t be a perfectionist – Unless the mistake is crucial to continuing the pattern or is brutally obvious, it can often be left. This is particularly important to help evaluate mistakes that have gone unnoticed for a while. There is little to be gained from undoing a lot of work. Besides, another mistake will probably be made that you won’t find until later again. Maybe you can find the place where I got the color sequence of the stripes mixed up a couple of times? I would be very surprised if you can find the few mis-stitches in the multi-colored yarn! Don’t go too long without working on the project – Taking too long of a break means you lose the advantages of learning the pattern. It is also much easier to lose track of where you are in the project. Make a copy of the pattern and mark on it as you progress – Doing this has saved me many a time. 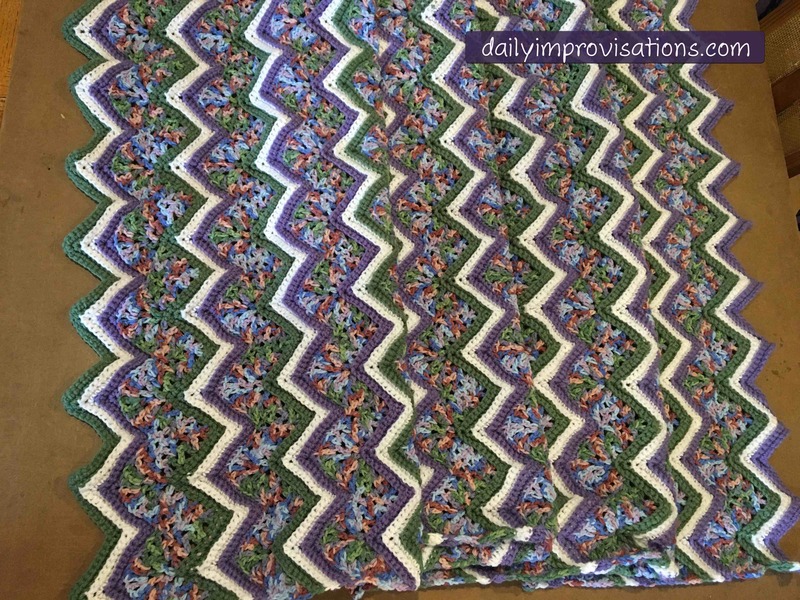 You would think I could remember from one day to the next where I was in a pattern, but the fact is that after looking at the instructions intently for a while, things often don’t look the same when I come back. I make little pencil dots on a row’s instructions just after I complete it. If a row needs to be repeated, I make mathematical arrays of dots! 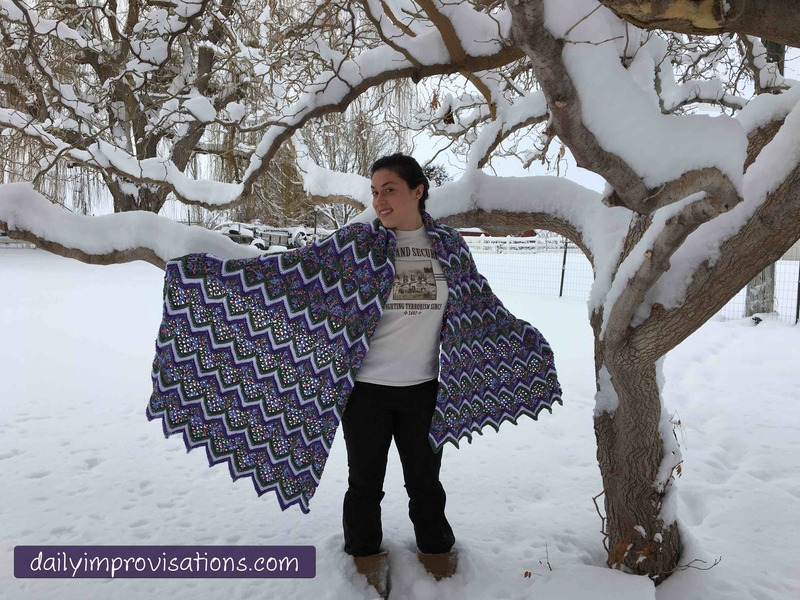 Don’t be afraid to improvise the instructions – Whether it be that you have a better way or you don’t completely understand what they are saying, what matters most with crocheting is that there IS a pattern. To be honest, I was never sure how this pattern was telling me to switch from one row to another. Lengthening it falls into this category, too. One way or another, it will be beautiful. Keep all the yarn together in a portable container – Being able to pick up my project for riding in the car or even just taking to another location in the house means I work on it about twice as often as I might otherwise. I have even rolled balls of yarn while watching a movie in a theater. It is relaxing and then my girls wanted some, too! I do not have a designated bag that I always use. 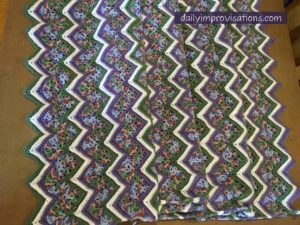 This is partly because I want to make one with all the right kinds of pockets. But it is also because projects can be different enough in size. I also sometimes keep the main part that I am working on in a gallon ziplock that can be plucked from the main bag and stuffed into a purse to be more portable for a short time.